A naver to be forgotten taste, when you tried to eat! which people wants to eat repeatedly"
A masterpiece, dear readers, which should be given the respect it deserves. 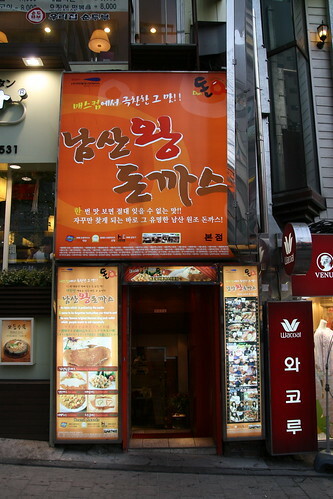 Let us all stand and applaud this magnificently enthusiastic attempt to share the king pork cutlet with the world. 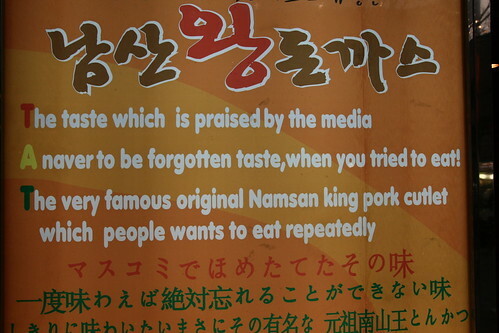 May the taste naver be forgotten!